Selected Works of Abraham Cowley. 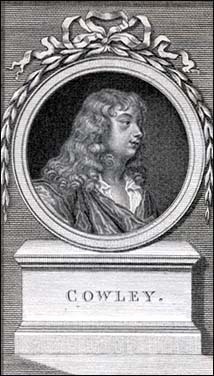 Cowley | Life | Works | Links | Essays | Books | 17th C. Eng. Lit. Created by Anniina Jokinen on October 1, 2001. Last updated January 16, 2007.